Donegal duo Leo McLoone and Paddy McGrath. 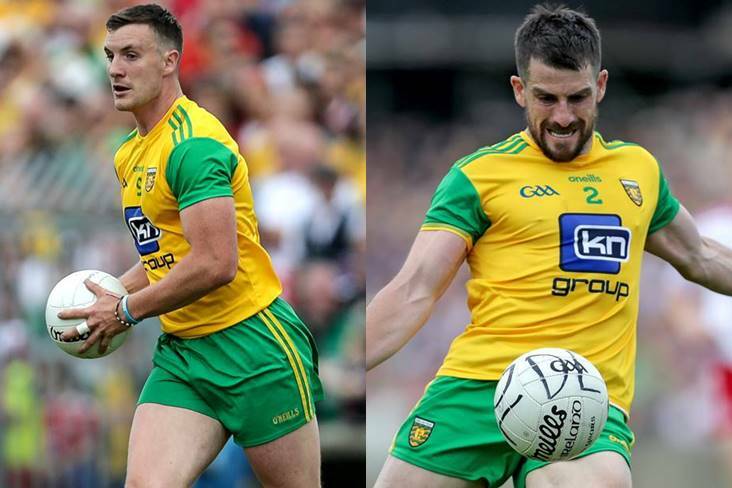 Leo McLoone and Paddy McGrath are on the verge of joining the likes of Michael Murphy, Karl Lacey, Christy Toye, Colm McFadden and Brian Roper in Donegal's exclusive century club. McLoone made his 99th appearance as a substitute in yesterday's surprise defeat to Tipperary, while McGrath - who hasn't played yet this year but has returned to training - is also currently on 99 appearances. There is a possbility that both, who won All-Ireland medals in 2012, will make play their 100th games against Fermanagh on the weekend after next in O'Donnell Park, Letterkenny.